New polling data found more Americans think Hillary belongs in prison than in the White House. A new poll has revealed that most Americans disagree with the FBI’s decision not to file criminal charges against Hillary Clinton — that means more people want to see the candidate behind bars than behind a desk in the oval office. 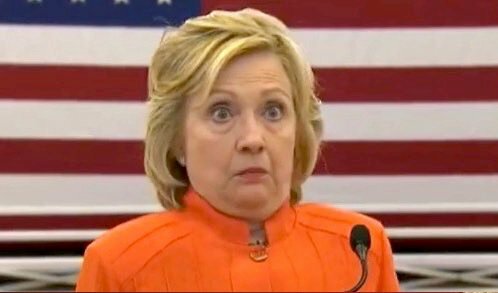 Of 1,000 voters polled by Rasmussen Reports on October 18 and 19; 65% believe that Clinton broke the law with her use of a private server — and 53% believe that the FBI should have filed criminal charges. Meanwhile, according to Sunday’s daily IBD/TIPP tracking poll, only 43% of voters support Clinton for president. When looking at Republican versus Democratic voters opinion, the divide was even more stark. Supporters of Donald Trump overwhelmingly disagreed with the FBI’s decision, with a whopping 92% . On the other hand, 85% of Clinton supporters agreed with the lack of charges.